York and Scarborough are set to welcome stages of the three-day Tour de Yorkshire next May Bank Holiday after funding was confirmed by local authorities. Scarborough Council committed approximately £135,000 to stage the race, according to the BBC, with £100,000 as a hosting fee to event organisers ASO. City of York Council has similarly committed £150,000 in running costs, however it is reported that the hosting fee must be met by external funding. An official announcement confirming the start and finish locations of the three-day event, which is set to take place between May 1-3 and plans to include a women’s event and mass participation ride, will be made on December 22. The full route of the event will be unveiled on January 21, 100 days before the start of the event. As reported by Cycling Weekly, the race is likely to include the fearsome climb of Rosedale Chimney in the North York Moors, which features a maximum gradient of 33%. Hull could host the start of the first stage of the race, with a sprint finish along the promenade in Scarborough also likely to feature. CW understands the race will head through the town of Selby while local press report that the seaside town of Filey and the landscape of the Yorkshire Wolds, made famous by the paintings of Yorkshire artist David Hockney, could also feature. Will there be another pilgrimage to Buttertubs Pass and Holme Moss? 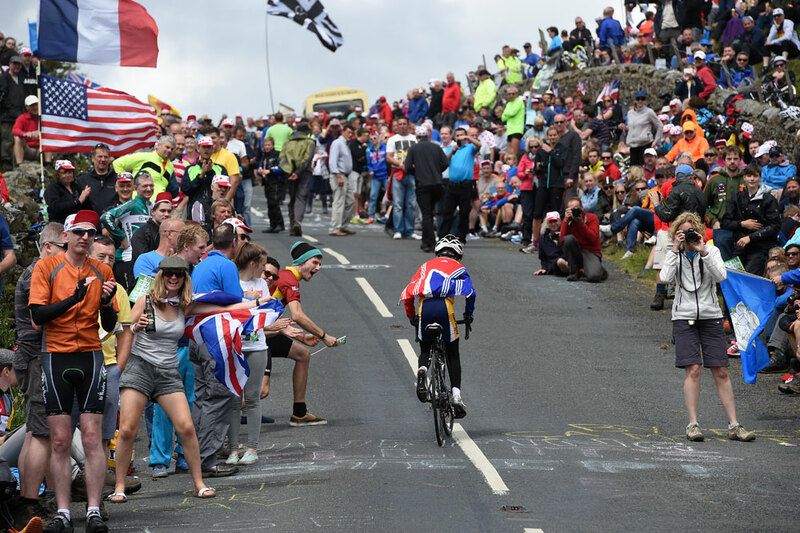 Since Yorkshire was recently voted as having the ‘best landscape’ and ‘the best fans’ of the 2014 Tour in an end of year competition run by race organisers, we wouldn’t be surprised if either of the spectacular climbs made a repeat appearance.